Zynga's staffers might have had a laser-like focus on releasing FarmVille 2 this week, but that doesn't mean the company has forgotten how to take a break. 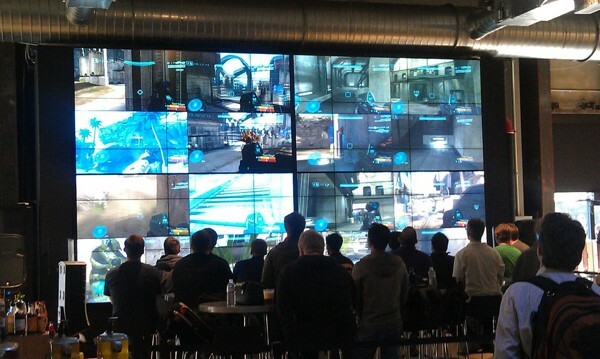 One employee (thankfully, also a Reddit member) has revealed that the developer's San Francisco headquarters has a giant, 16-screen video wall for gaming in the cafeteria -- and yes, they're playing Halo in that photo rather than some future, first-person version of Mafia Wars. It's no surprise that the employees aren't playing their own games all the time; we're pretty sure that even the most avid Facebook gamers would burn out if they did. Nonetheless, it's hard not to smile at the thought that the same people urging us to buy new crops are sticking plasma grenades in their spare time.